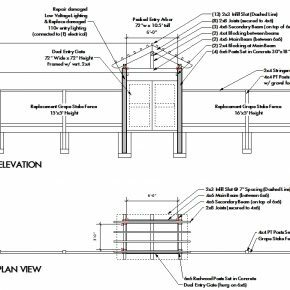 Here is a follow-up to a previous design post of a new entry way in Mill Valley. 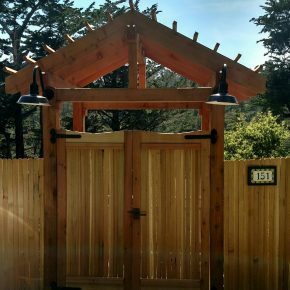 The entry featured an open pitched roof Redwood arbor with custom dual gates to match the existing and new fencing. Hardware for the gate was a twist lever from Rocky Mountain Hardware (the best for gates), with lighting from Barn Light Electric.